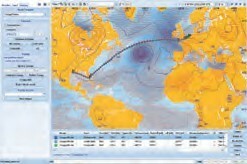 Ship Performance Optimisation System (SPOS) Onboard is the world’s leading onboard weather routing system. With SPOS Onboard the ship’s route can be optimised, taking into account sea conditions such as wind, waves and swell, current and other weather elements. characteristics. The captain can then chart the optimum route (both in terms of safety and efficiency) for his ship in prevailing conditions. What does SPOS Onboard offer? SPOS has been designed to improve vessel performance and increase safety for crew, vessel and cargo. Instead of providing the master with a predefined route, SPOS provides detailed weather information onboard, as well as advice and support during the planning and execution of ocean voyages. 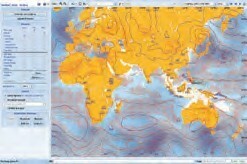 Weather forecasts are received twice daily via e-mail or http download and weather maps can be displayed on screen or printed. Captain and crew can enter and update vessel and voyage data during transit. SPOS calculates the optimum route and sets out alternatives. Save your best route and update with the latest weather forecast each day. 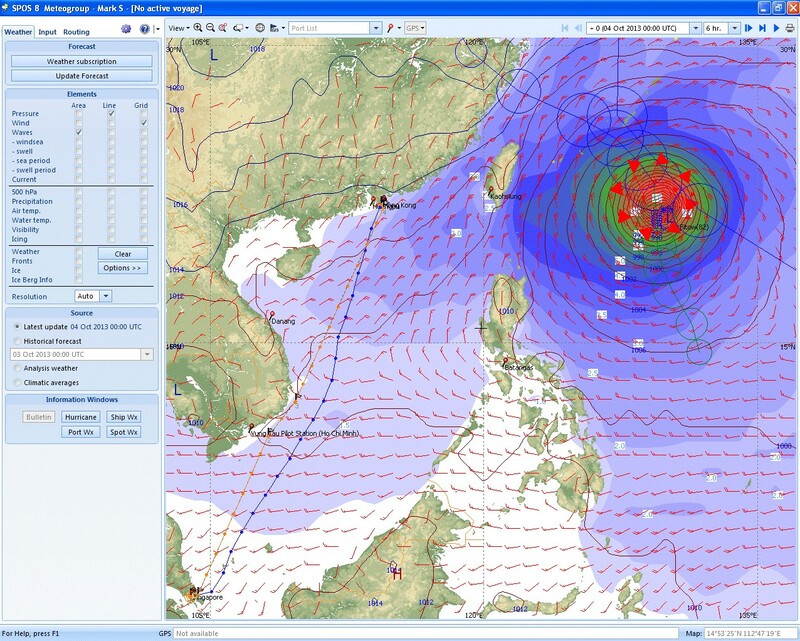 SPOS onboard weather and voyage planning covers several SEEMP related measures including speed reduction, voyage execution, fixed ETA planning and damage avoidance. Optimized voyage planning with route exchange between SPOS and ECDIS systems. MeteoGroup together with major ECDIS suppliers and chart distributors have combined their key products to provide the ideal integrated solution of voyage route optimization; weather routing with SPOS combined with navigational planning in voyage planner software and actual routing in an ECDIS. The combined SPOS and ECDIS service is designed to be quick and efficient to use and the strengths of both products help captains fully optimise their voyage planning. With this combination it is possible to transfer route data from SPOS to the voyage planner software and to ECDIS and vice-versa to safely and efficiently navigate voyages. To reach this, MeteoGroup works together with major ECDIS and chart suppliers, PC Maritime with Navmaster, Transas NaviSailor, Thomas Gunn (GNS) with Voyager, Sperry Marine, Furuno and the UKHO with e-Navigator. Why choose for the combination of SPOS and ECDIS? MeteoGroup understands the complex responsibilities a Captain has to manage, including safety, cargo operations, crew management and compliance with local and international laws and company and flag state policies. Juggling these responsibilities and regulations reduces the time available for voyage route optimization which is why the combined SPOS and ECDIS Service are designed to be quick and efficient to use. And we have united our strengths to help captains fully optimize their voyage planning. With this combination it is possible to transfer route data from SPOS to the ECDIS and vice-versa to efficiently and safely navigate voyages. What does the SPOS interchanging with ECDIS systems offer? 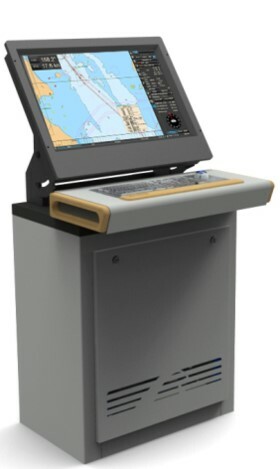 The NaviSailor, Navmaster, Furuno, Voyager, Sperry and e-Navigator program route templates are interchangeable with SPOS, so the Master can create a route in his ECDIS or voyage planning program and then load it into SPOS for optimization; taking into account weather limits, speed profile, bunker profile, voyage speed, fixed ETA, track types and delays.